The University of Newcastle held another NoHoW consortium meeting in the first week of April to discuss user engagement, process evaluation, and scientific dissemination strategies. The consortium also presented the workflow of current deliverables and plans for future work packages accomplishments to the European Commission Review Panel. More information about NoHoW HERE. The European Fans in Training (EuroFIT) programme, an EU-funded randomised control trial of 1113 men aged 30-65, carried out across 15 professional football clubs in England, the Netherlands, Norway and Portugal, also led to important improvements in diet, weight, wellbeing, self-esteem, vitality and biomarkers of health risk. EuroFIT is delivered by club’s community coaches in football club stadia in 12 weekly, 90-minute sessions which are aimed at increasing physical activity, reducing time spent sitting and improving diet in a way that maintains change over the long term. A novel pocket-worn device (SitFIT) developed for EuroFIT by the Glasgow company PAL Technologies allowed self-monitoring of time spent sitting and daily steps, in real time while a game-based app encouraged between-session social support. PANO Research Group was massively represented at the 22nd Portuguese Congress on Obesity (SPEO), in Lisbon. 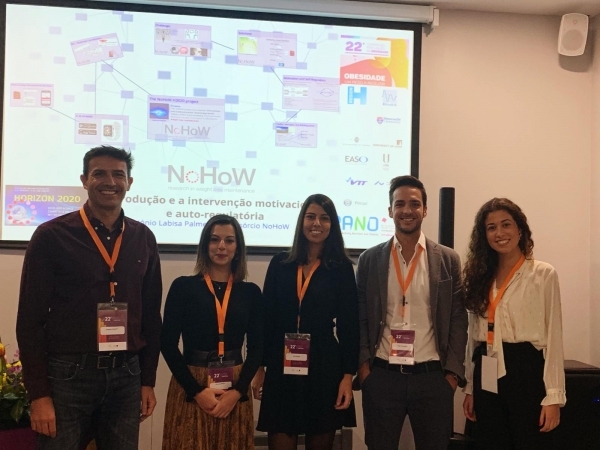 António Palmeira, Inês Santos, Jorge Encantado and Catarina Luís organised a Symposium on behalf of the NoHoW Consortium, where last years' efforts conducting a Randomised Controlled Trial using Digital Tools for supporting weight-loss maintenance were presented. 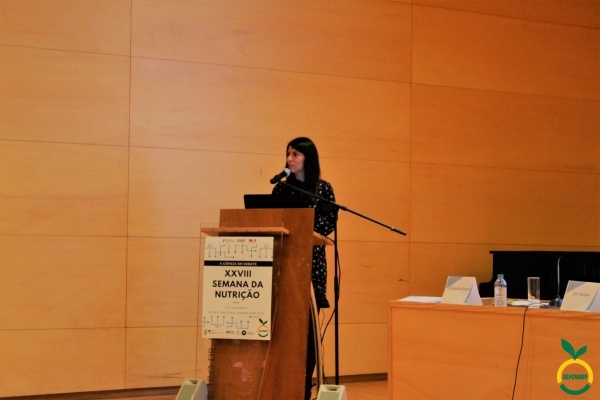 Additionally, Inês Santos participated in a Symposium, organised by the SPEO’ Special Interest Group in Nutrition, on the nutritional intervention in non-surgical obese individuals; Marlene Silva presented the subject of "Obesity and Social Stigma" and was also involved in the Symposium dedicated to the Portuguese National Program for the Promotion of Physical Activity (PNPAF-DGS). Eliana Carraça also participated in a Symposium dedicated to Psychology with a presentation entitled "Treatment Predictors: clues to the intervention". 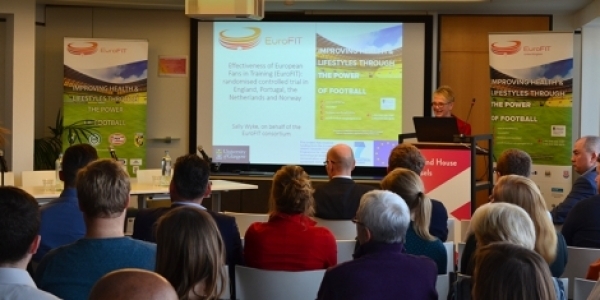 The EuroFIT Launch Event held at Scotland House in Brussels on 31 October 2018 to celebrate the success of the research project and to learn how the ground-breaking programme will be rolled out across Europe. EuroFIT Coordinator Prof Sally Wyke commented, “The launch of EuroFIT into the real world of football and public health was a great success. Over 70 people from different countries and organisation came together. We have scientific evidence of effectiveness and cost-effectiveness and research-based guidelines on how to deliver the programme in football clubs. We have a pragmatic, inexpensive, not-for-profit licensing system that will protect the fidelity of the programme and ensure that outcomes are the same. All in all a great investment from the European Commission.” For more information click HERE. 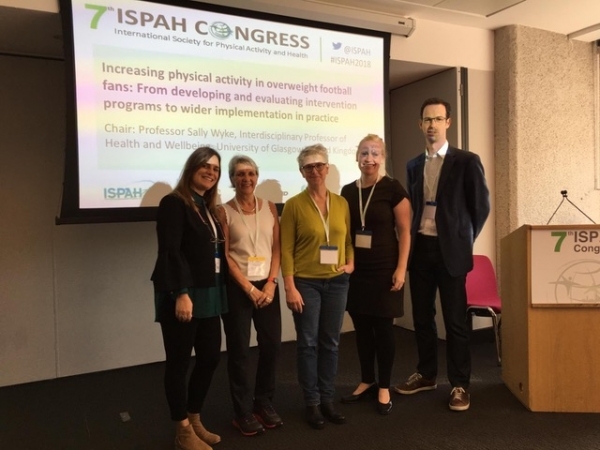 On October 16th, Marlene Silva and EuroFIT Consortium presented a Symposium at ISPAH congress entitled "Increasing physical activity in overweight football fans: The role of motivational theory in promoting physically active lifestyles in the EuroFIT program". 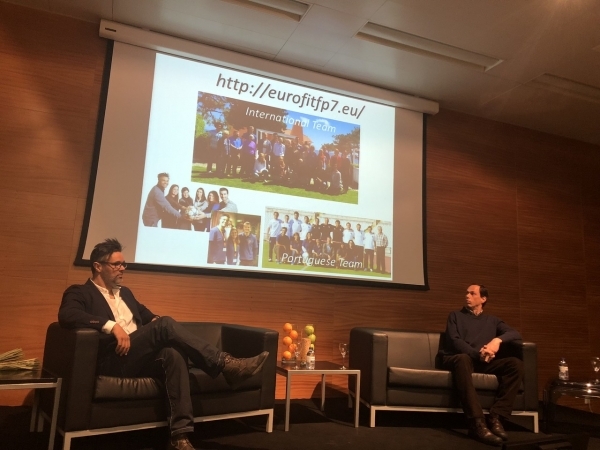 The purposes of this talk were to describe how constructs from motivational theory (Self-Determination and Achievement Goal Theories) were used to inform EuroFIT intervention strategies, and to report on whether the program impacted motivational targets. More information about the congress HERE. 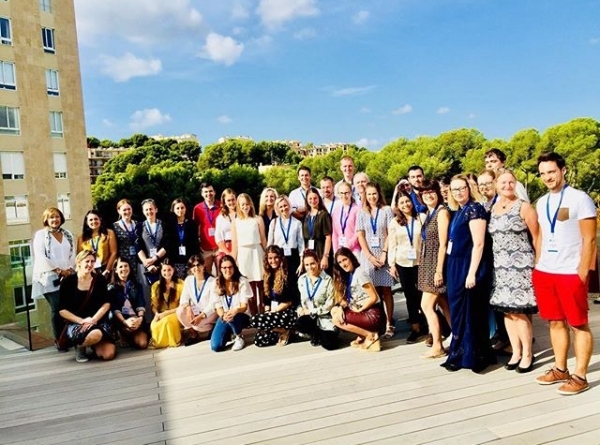 On October 1-3 the New Investigators United Autumn School organised by the European Association for the Study of Obesity took place at Palma de Mallorca. Jorge Encantado was selected to participate in this event focusing on ‘Hot Topics in Obesity’ with sessions addressing the key issues in research, treatment and public health. Teaching was delivered by European experts and included both lectures and practical training. More information about this event HERE. The University of Leeds hosted one more NoHoW consortium meeting during the last month (September 11-13). The meeting outline involved data handling, publication planning, discussions on the dissemination of the project findings, and funding priorities. More information about NoHoW HERE. The Portuguese Football Federation, as a sponsor of the EuroFIT Portuguese pilots, and to establish the social norm in Portugal by being an example to football clubs, hosted the EuroFIT program at the City of Football facilities. 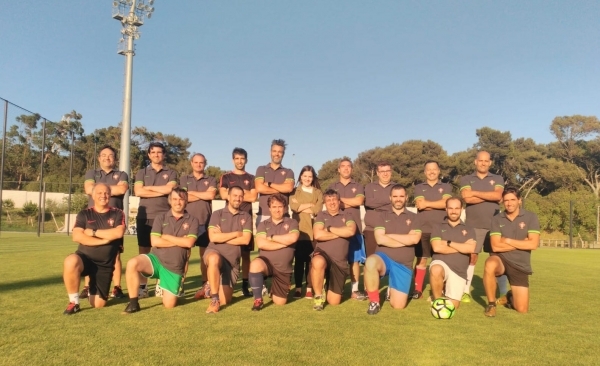 Eighteen participants, overweight and sedentary men, managers and staff from small football clubs, participated in the program. The feedback was extremely positive. Reed more on this HERE. Rio Ave FC and SC Braga finished their EuroFIT deliveries. The initiative was a success, with coaches and participants asking for the continuation of the programme. Both clubs decided to include women and this decision couldn't have given better results from the participants' perspective. Find out more about what coaches and participants said in this VIDEO and click HERE and HERE to see how the programme went in both clubs. 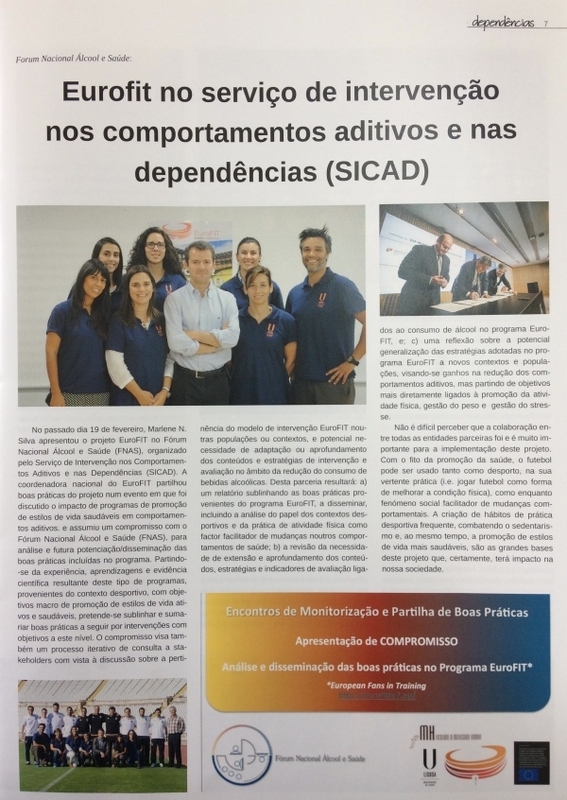 EuroFIT recently featured in Dependências magazine, an institutional magazine that typically publishes news on topics relating to poor health habits and alcohol consumption. The project was described in detail and exemplified as a set of best practices to be followed in interventional programs with the potential to influence behaviours, besides physical activity. Access the full article HERE. 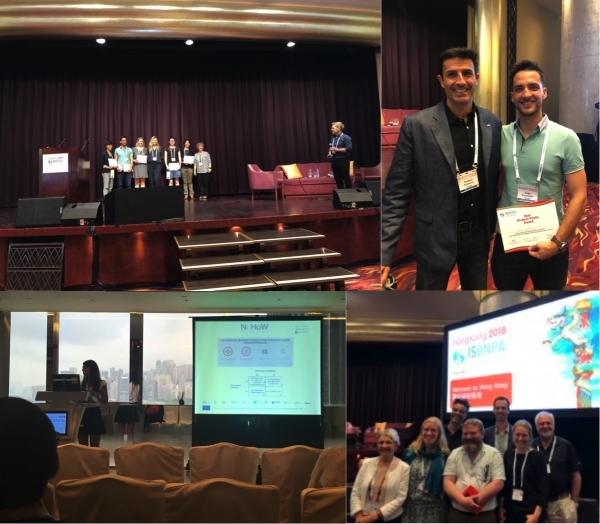 Hugo Pereira, Inês Santos, Jorge Encantado, and António Palmeira participated in the 17th ISBNPA Annual Meeting in Hong Kong (June 3-6). 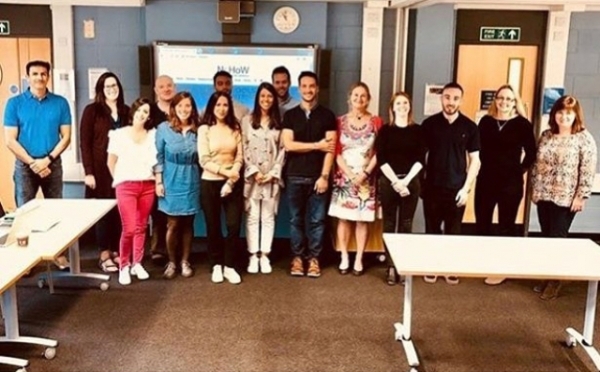 The SIG Theories of Motivation Meeting took place during the event where Jorge Encantado was awarded with the best poster presentation by a student. More information about this conference HERE. 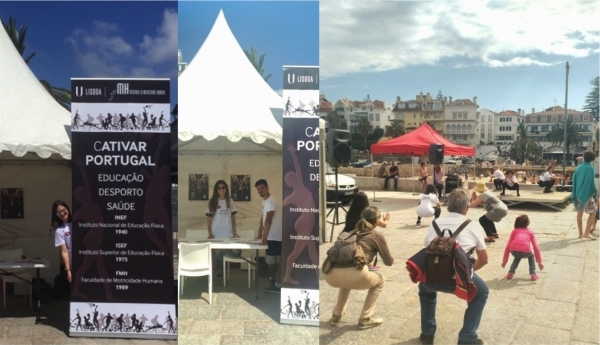 On May 26, the annual event of the Portuguese Cardiology Foundation, "Festival do Coração", took place at Cascais. Catarina Paixão Luís and Sofia Franco, from CIPER | Self-Regulation, coordinated the activities dinamized by FMH. More information about this event HERE. 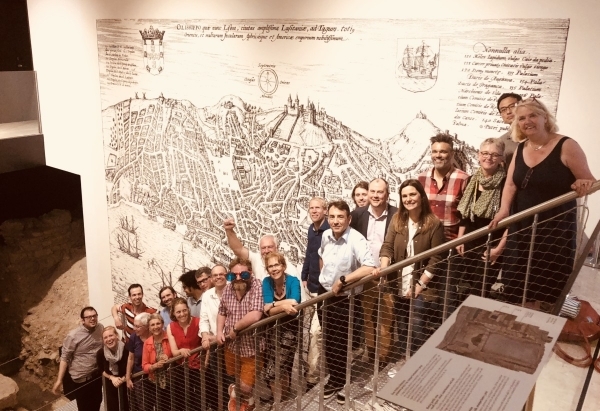 Between May 23-26, CIPER | Self-Regulation researchers participated in the 25th European Congress on Obesity, in Vienna, Austria. 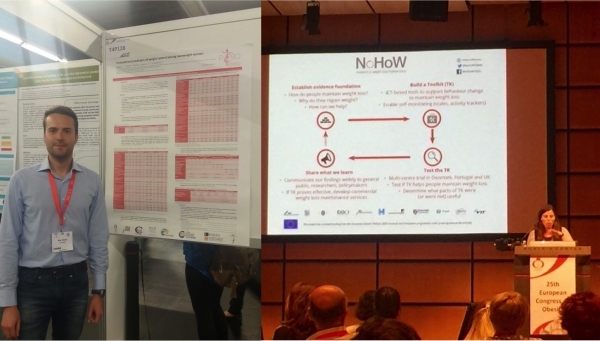 Marta Marques gave a talk on "Towards a consensus on developing the next generation of WLM interventions" at a symposium hosted by the NoHoW project. Rui Jorge presented a free communication titled "Pretreatment predictors of weight control among overweight women". More information about the conference HERE. FMH hosted the final EuroFIT consortium meeting, that took place in Lisbon, Portugal (May 8-9). The meeting entailed work package updates, publication planning, presentations on the latest results, discussions on implementation of the project findings, and final reflections and future priorities. More information about EuroFIT HERE. 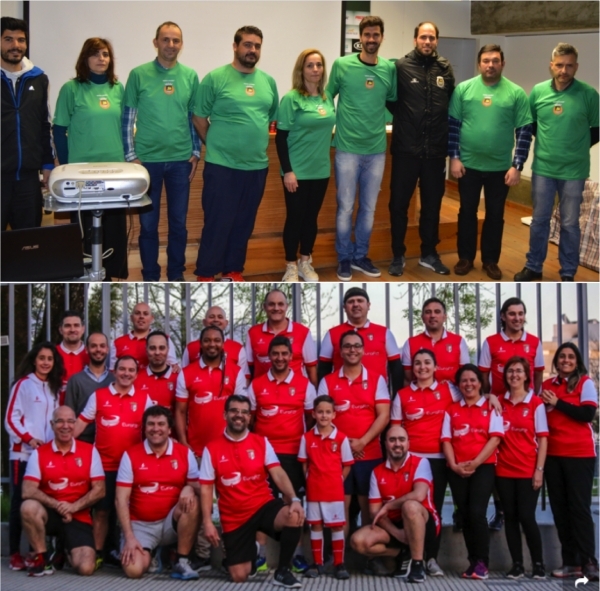 CIPER | Self-Regulation was represented at a conference on Physical Activity and Nutrition, hosted by the Odivelas City Council on April 6, the World Day for Physical Activity. Marlene N. Silva presented on Physical Activity and Hugo Pereira gave a talk on the EuroFIT project. More information about this event HERE. On April 22-23, the Scientific Conference of the XXVIII Nutrition Week of the Faculty of Nutrition and Food Sciences (FCNAUP) took place at Museu Soares dos Reis, Oporto. Inês Santos participated with a talk titled “Motivation in weight loss and weight management”. More information about this event HERE. 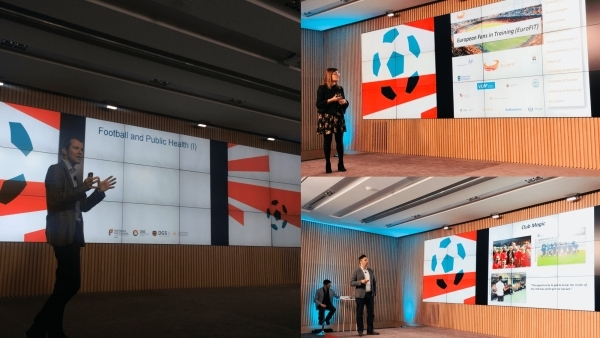 Hugo Pereira and Jorge Encantado participated in the CBC Conference 2018 - Behaviour Change for Health: Digital and Beyond (London, February 21-22). 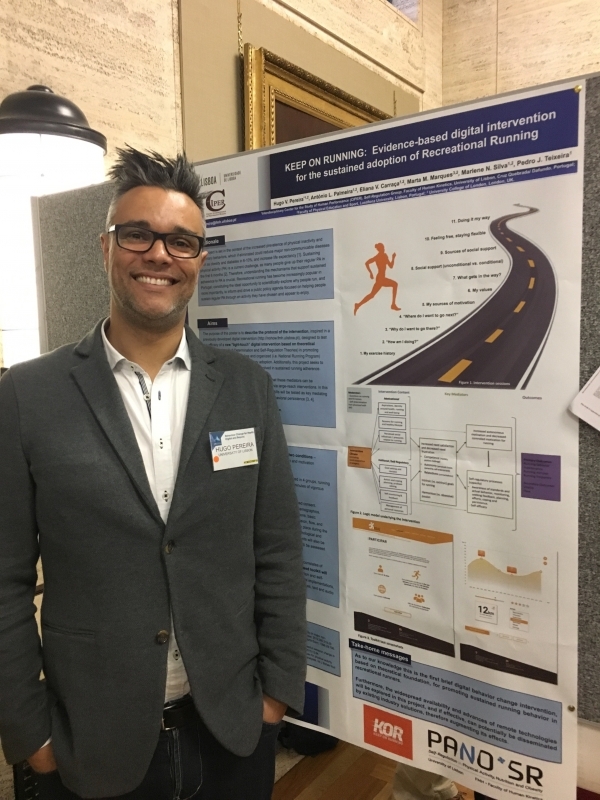 Hugo Pereira presented a free communication titled "Keep on Running: Evidence-based digital intervention for the sustained adoption of recreational running." More information about this conference HERE. 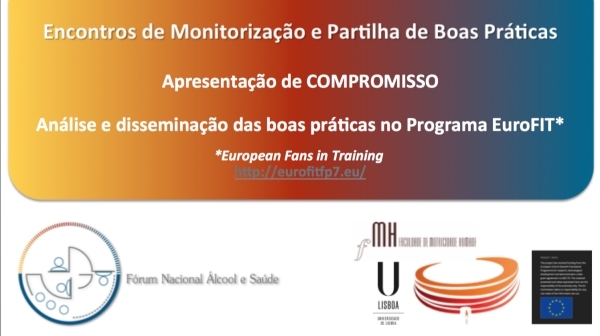 On February 19th, Marlene Silva presented on EuroFIT for the National Forum for Alcohol and Health (FNAS), hosted by SICAD, and highlighted best practices in this regard. More information HERE. 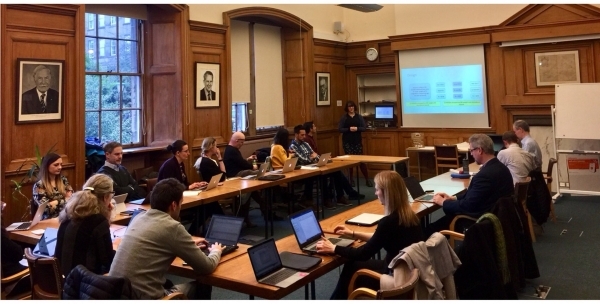 On February 13-14, António Palmeira, Inês Santos and Jorge Encantado participated in the NoHoW consortium meeting, in Edinburgh. Business plan development was the main topic under discussion. More information about this project HERE. On January 25-26, the International Conference on Football is Medicine took place in the City of Football, the headquarters of the Portuguese Football Federation (FPF). Pedro J. Teixeira, Marlene N. Silva and Hugo Pereira participated as invited speakers. More information about this event HERE.